View chat messages including group chats. Log in to your online control panel on any device you want to, see all captured data that are uploaded to your dashboard. Can I see iMessage chats that are deleted by the target? Yes, iPadKeylogger captures the data and keeps them in the background even if the target user deletes them immediately. Once the software connects the servers and uploads these chats, it will delete from its memory on the device. Please note that any chats that are deleted before iPadKeylogger is installed cannot be retrieved. Can the target notice that you Spy on iMessage? No, iPadKeylogger is undetectable. You can hide the iPadKeylogger icon, so the target won’t understand that iPadKeylogger is installed on the iPad. The target also does NOT get any notifications when the software captures iMessage chats. 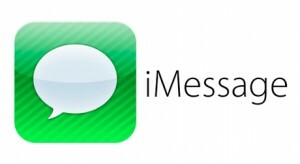 How to Spy on iMessage? You will need to install our iPad Spying App –iPadKeylogger– in order to spy on iMessage. Please find the main steps here; how to spy on iPad? Please read all features, and check our plans. You can see the screenshots of your online control panel if you wish. You will receive your license key and login details automatically just after your payment is finished.